Why start a blog about my hometown? What makes Jupiter, Florida different from the other map dots along the Atlantic Ocean? Like every coastal town, we have pristine beaches, tourist attractions, and tiki bars. We fish, we swim, we snorkel, we SCUBA. However, events over the last two weeks involving two local teens lost at sea have demonstrated what makes Jupiter unique. On Friday, July 24, 2015, Austin Stephanos and Perry Cohen, both 14 years old, fueled their 19-foot boat at the JIB Yacht Club and Marina and left the Jupiter Inlet for an afternoon fishing trip. Caught in a summer storm, they disappeared. What began as a typical day for a Jupiter kid soon became a parent’s worse nightmare. The Coast Guard searched waters off of Florida, Georgia, South Carolina, and North Carolina for seven days, covering 50,000 nautical miles. They found no trace of the boys except for their capsized boat near Daytona Beach. The families of the missing teens continued with their own private search, which was called off last Sunday, August 9. Amid the tragedy, the town of Jupiter banded together, first organizing a prayer vigil at Jupiter Christian School, where Austin was a student. 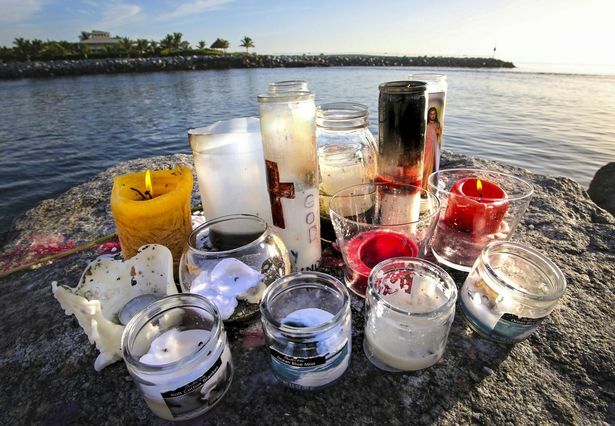 The next evening, Tuesday, July 28, Jupiter residents gathered at the Jupiter Inlet, the place where the boys were last seen, to light candles, release lanterns, and pray for their safe return. On July 29, hundreds of people crowded the streets of downtown Abacoa for a fundraiser at Jumby Bay Island Grill, which included a silent auction, a raffle, and a reggae band. Soon, the story of the missing teens reached national news networks, including an interview with the boys’ mothers on the Today show. A GoFundMe account set up to support the families’ private search efforts raised nearly half of a million dollars in just 14 days. This is what is beautiful and unique about Jupiter: We are a small town dedicated to each other and our community. This story has been heavy on my heart since I first found out Austin and Perry were missing. Boating, the Loxahatchee River, and the Atlantic Ocean are an integral part of growing up in Jupiter. Children of all ages surf, swim, paddle board, and boat on our waterways. In Austin and Perry, I see the faces of the friends with whom I grew up. In their parents, I see my own parents, and I cannot imagine the pain and sadness they feel. Each morning, I look out my sliding glass door at the ocean and I pray that Austin and Perry are safe in God’s arms. This blog is about the town that supports Austin and Perry and their families. It’s about the small businesses that are the lifeblood of our community. It’s about the preservation of our history and our way of life. I want to share the deep love Jupiter has for its people with my readers.